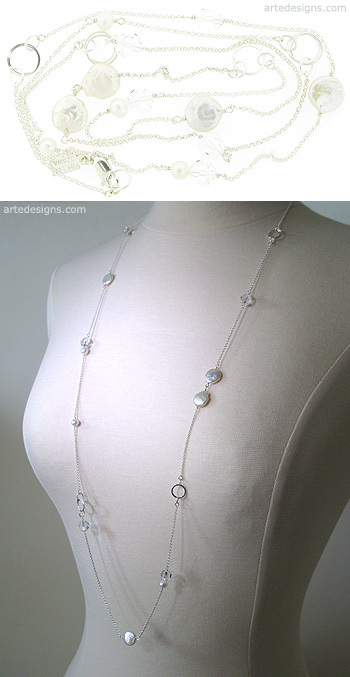 This long, delicate necklace consists of luminous iridescent pearls, clear Swarovski crystals, sterling silver accents, and sterling silver chain. It has just the right amount of texture and shine without overpowering your look. (pearls are natural so size, texture, and color may vary slightly) Approximately 38 - 38.5 inches long. Sterling silver lobster clasp.